It is maybe interesting to compare this two sets, with the same content, correponding to catalogue No.1, but somehow different. 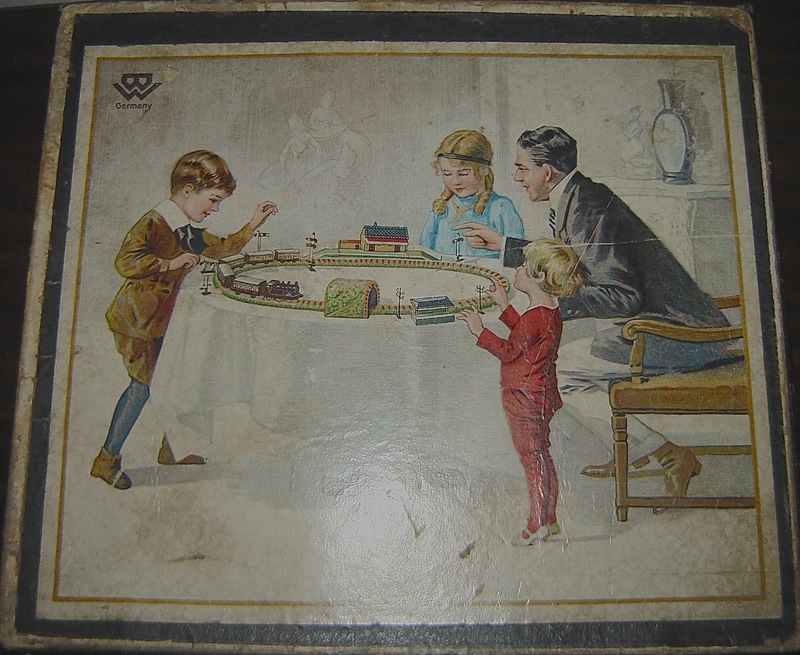 The one with L&NWR livery is probably the very first one from late 1922, while the MR livery is a later version, just before the change to the yellow boxes? 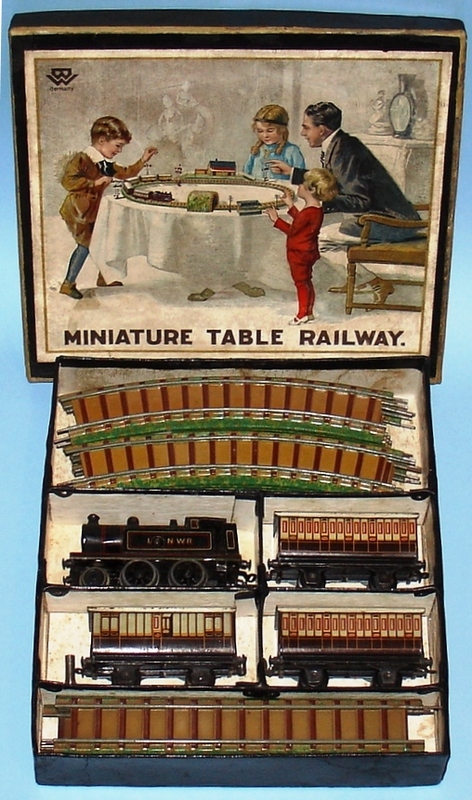 The more interesting differences is the way the train is boxed, in individual partitions on one case and with a card insert in the second case, that was later used in every set. 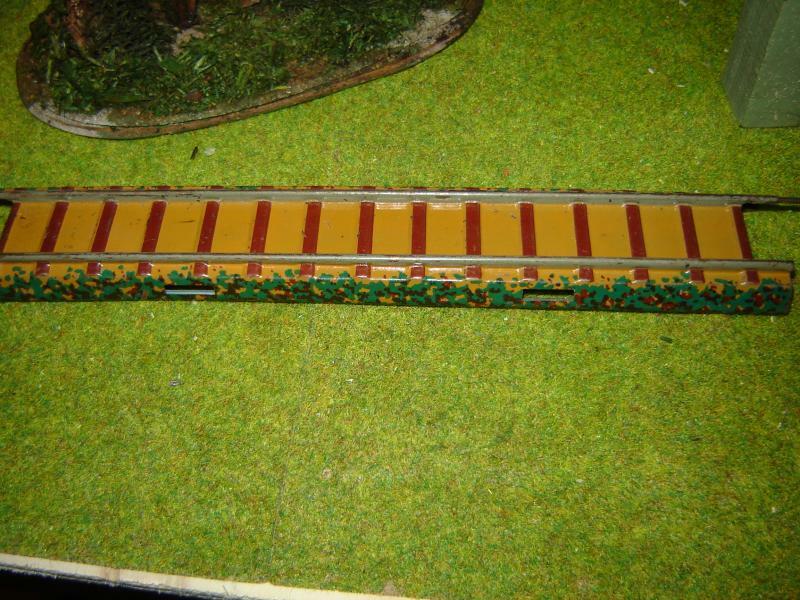 Also the colour of the tracks is quite different, with the green sides much lighter for the earlier version. a very interesting comparison. Thanks for showing these two sets since it is not so easy to find complete and original sets (including the tracks!) these days. Do the tracks with the ligth green sides have a special colour on the backside? I have also some light(er) green tracks and the backside is painted in light blue, a colour that I could not find on any other tracks. 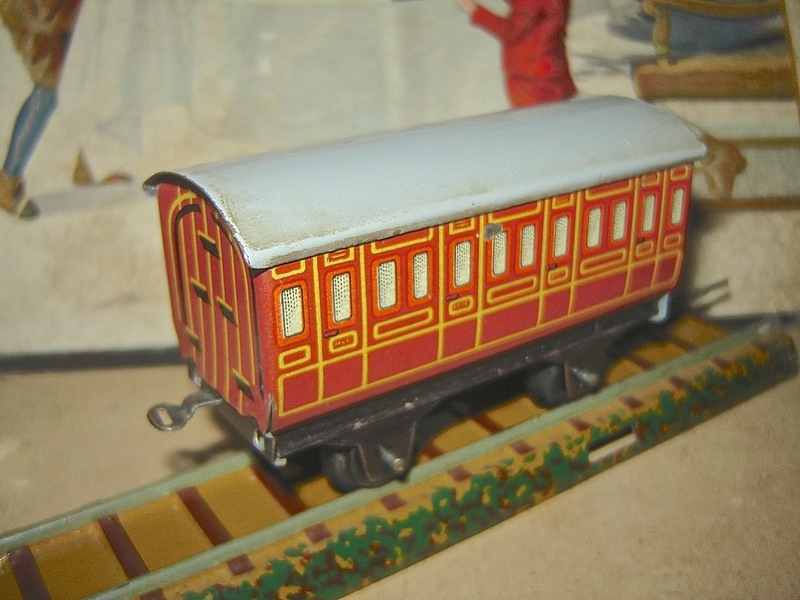 until which years were the trains from the old railroad companies LNWR or MR produced ? The Big Four (LNER, LMS, SR and GWR) appeared in January 1923 (founding was 1921). I think 1924 is a reasonable date for the appearance of the big four (for Bing it was only the big three: LMS, LNER and GWR) and the disappearance of MR and LNWR. 1924 was also the year of introduction of the electric versions and best to my knowledge no electric Midland and LNWR is known. 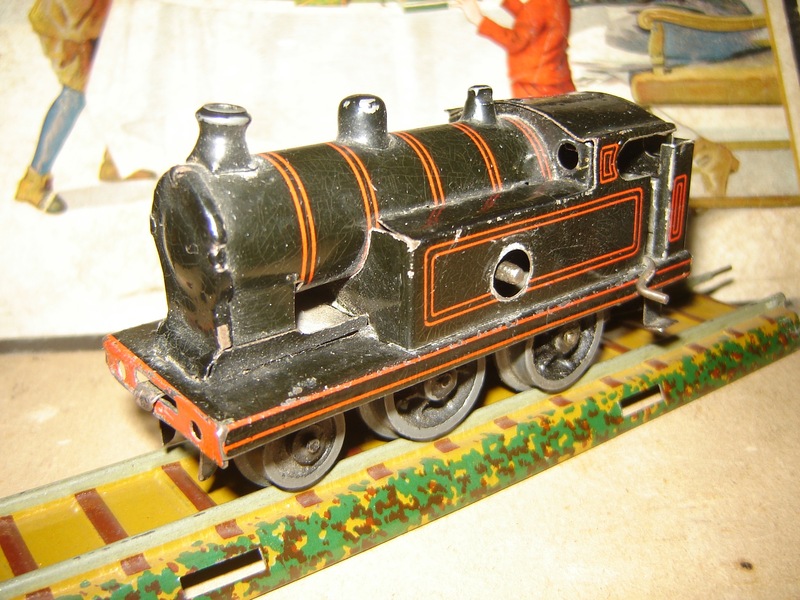 There is an electric American tank loco in Carpenter's book showing the LNWR livery, but with overpainted LNWR letters. thanks. 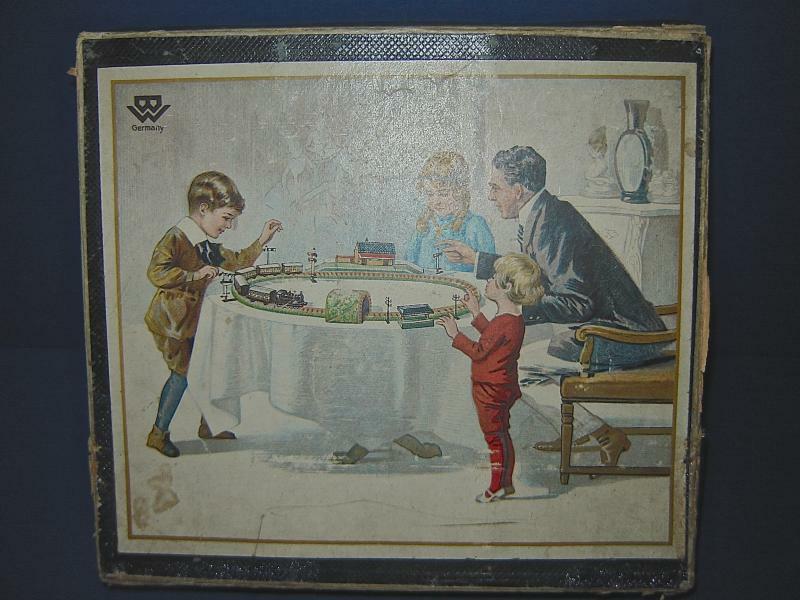 Was it a hard break, or were the clock work locos with MR and LNWR (and matching coaches) still produced after 1924 ? 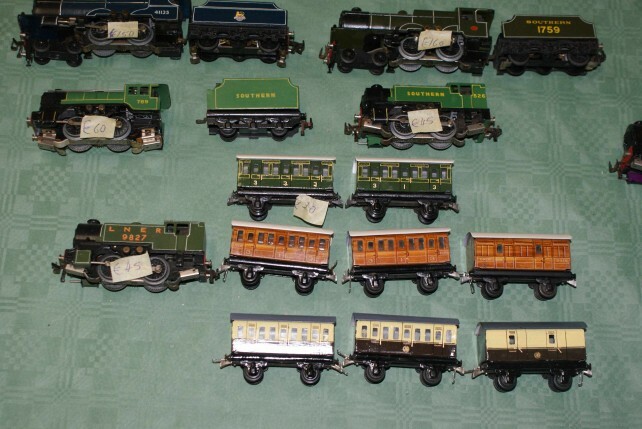 It´s funny: TRIX had also only three companies: LNER, LMS and SR. GWR didn´t allow to use their livery for TRIX trains. 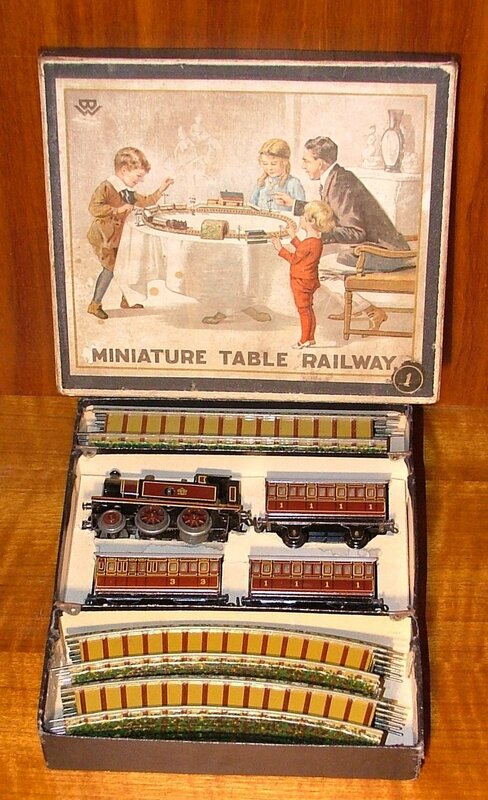 By the way: what do you think about asking John H. to repaint a Bing table top train in SR livery ? 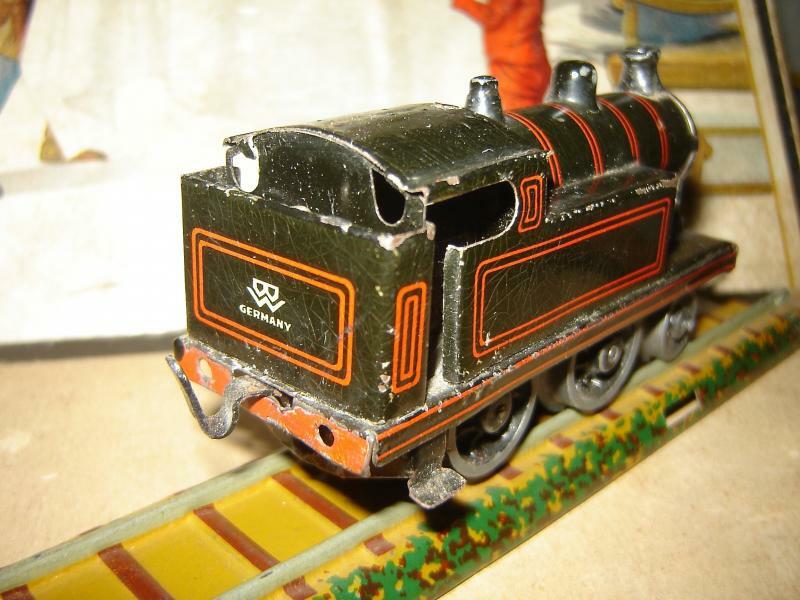 not sure about Midland, but the remaining stock of LNWR chassis was overpainted to either make Continental or American Locos, so it looks like a hard break! 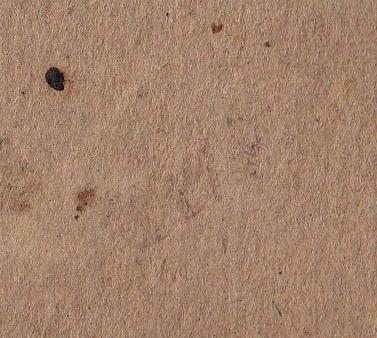 In the bad pictures tis stamp just looks like dirt! About the details of the new liveries, Patrick said it all, I can add nothing. Interesting that Trix never made GWR, also just 3 companies... I never connected this with Bing TT! 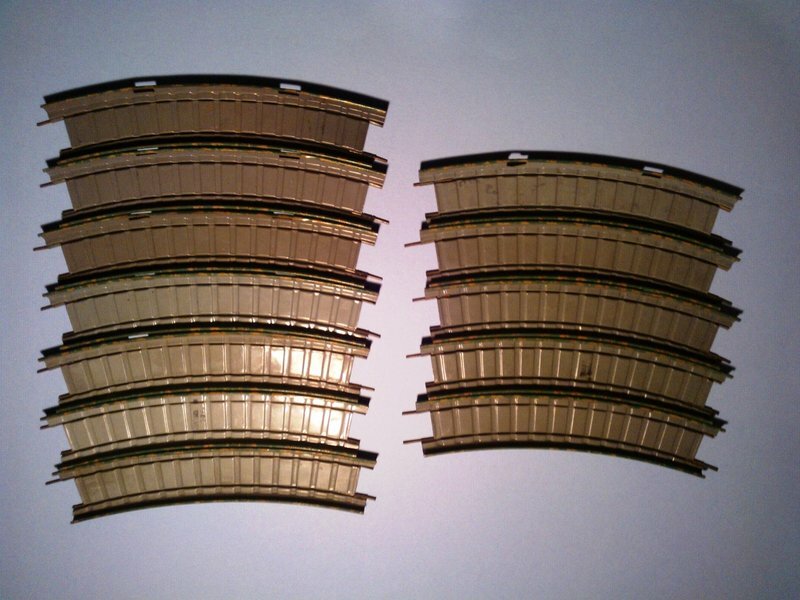 One more comment is that the tracks still have very simple straight connecting pins, that later would have a bend across the rail to prevent it to slip when mounting (or unmounting) the tracks. PS: I think I have also soem track with light blue back (somewere...), but not of the light green sides. The Southern locos in the centre of the picture wear the postwar malachite green livery, but the short suburban coaches have the prewar dark green livery. Yes, John Hopkinson can make wonderfull repaints, creating quite nice neverwazas! 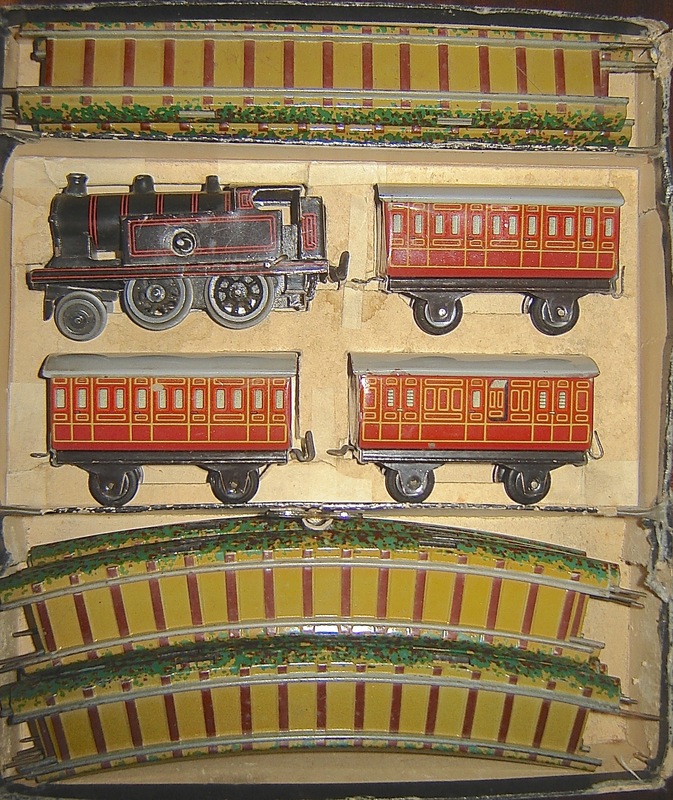 I never met him personaly, but I have some repaints on TTR items made via Franz Nowack. He also was one of the first serious collectors of this tinplate TT trains, it seems he just has some remaining items now, and I go some from him (on Ebay) in the past. The ones with the light blue colour on the backside are dark green! it´s a pitty. This October John was just in Berlin. He likes Berlin and it may be that he will attend another time to our exhibitions. By the way: what do you think about a christmas trip to Berlin 09.12.2012 with some rare trains ? You are quite right: the LIGHT green track belongs to the very first package, probably even to those which came out BEFORE the catalogues. It took me quite a while to find out about - unless I found an early package myself. A year ago - or so - I tried to find out a system of the different colors of track according to which we can date the making. I remember discussing it with another collector.... But in the end we could not really make it. 1. The light green track belongs to package no. 1, maybe even earlier. 2. 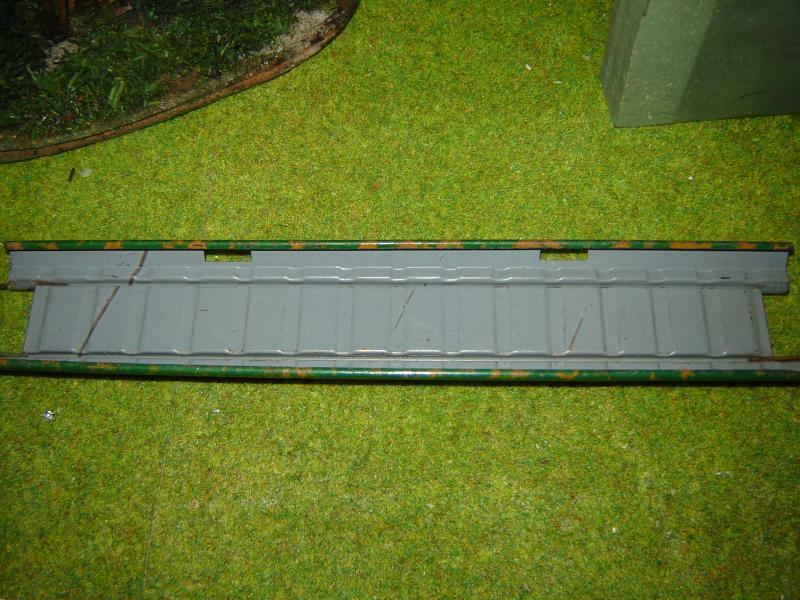 Track with brown layers WITHOUT clamps is very early and came with the black boxes. 3. Track with brown layers AND clamps came later but still with the black boxes. 4. Track with black layers WITHOUT clamps belongs to the early yellow boxes. 5. 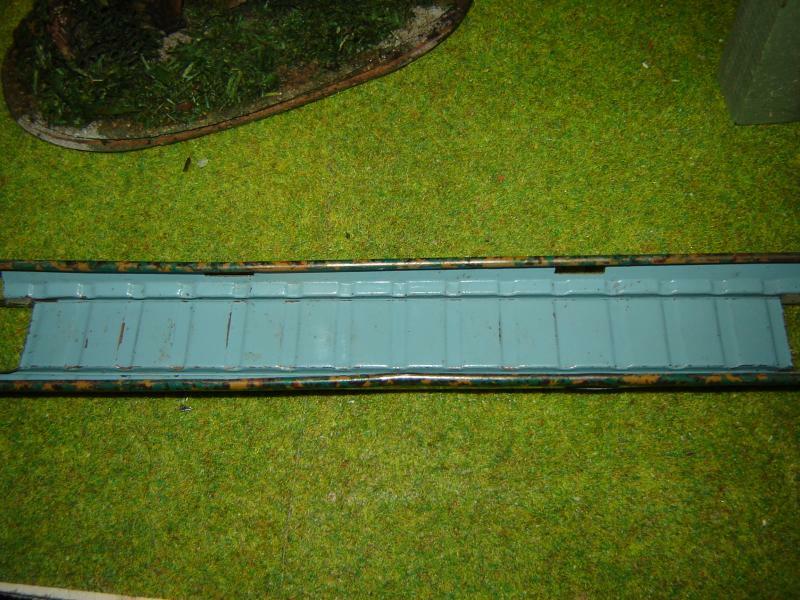 Track with black layers AND clamps came with the later yellow boxes. 6. Track with holes for clamps but those MISSING (not lost but never put in!) came quite late, when metal wasn't availabel - due to shortage of material or money. There are numerous varieties in colors - either on top or on the backside of track. Up to now I couldn't find out any system. Well - this is just a hypothesis. Whoever can add or correct something is very welcome!!! just wanted to add another early No 1 set. 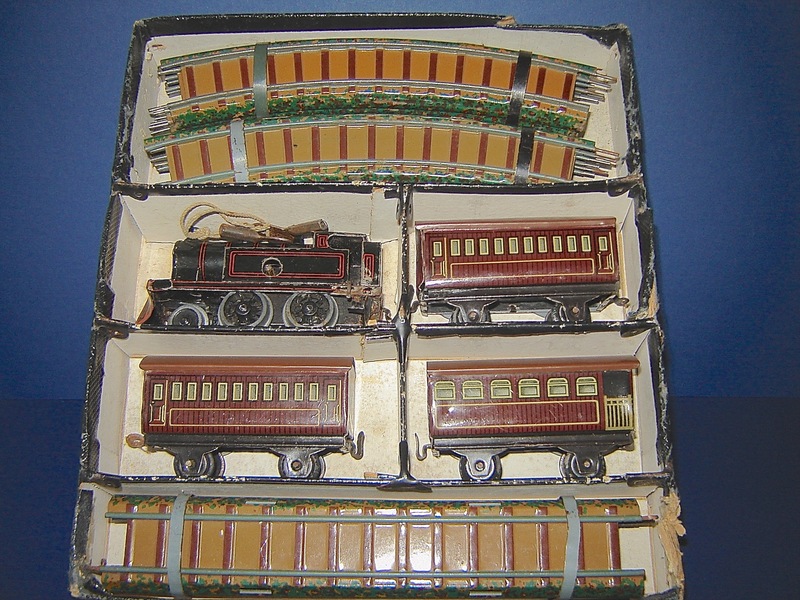 It is an American Set including the loco with cowcatcher and the obeservation car. 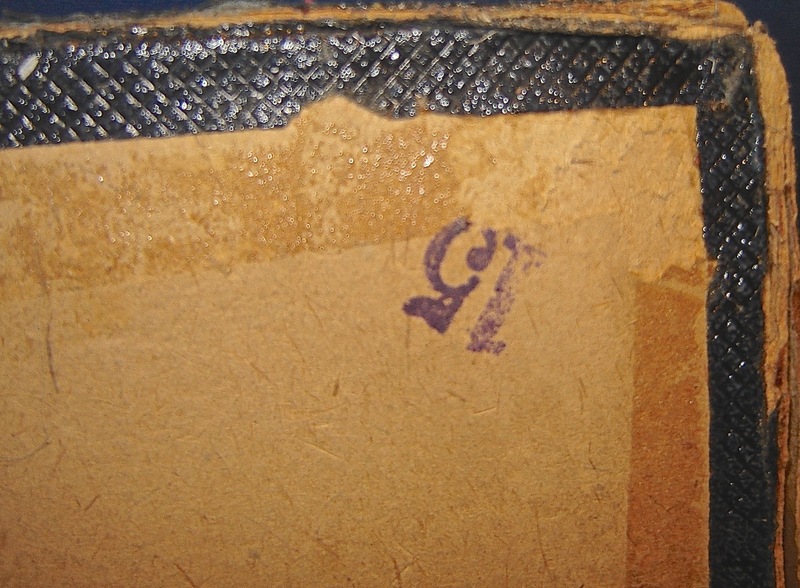 Manuel, does your early set also have a numbering on the back? Nice catch Patrick that set (and also the other)! 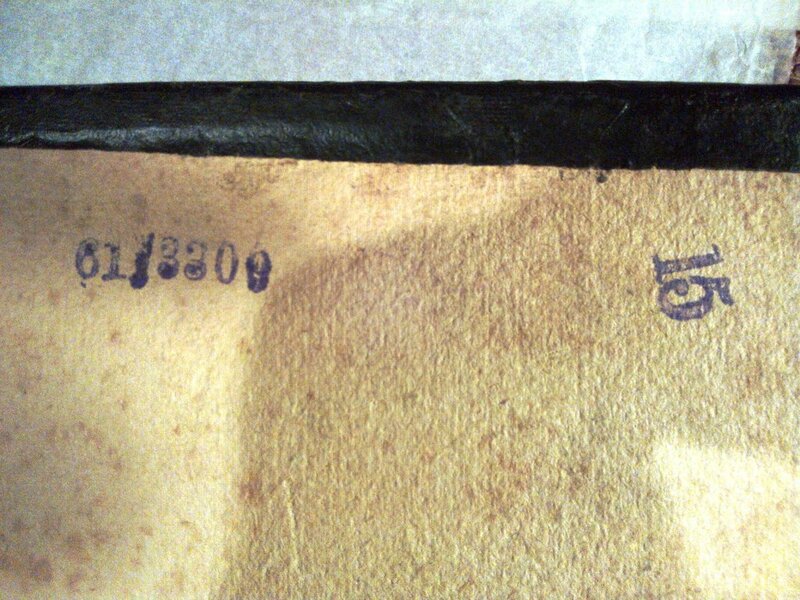 I think it reads 61/3309 (or maybe 3300?) and 15. Jeff Carpenter mentions 11/920 in his book, I think. The A type loco in my set has teh "Bavaria" logo on the bunker. There is also a difference in the black paper, yours has a very strong pattern, unlike mine. Many years ago I picked up an empty box without any inners. I made it up using Bing pieces and making inner sections of mountboard. On the base it is clearly marked 61/3300, and with the 15. In pencil is the price of 6/6. That works out in current prices of thirty two and a half p. or 0.41 euros. I don't think we'll find any at that price any more. In the beginning I thought the original Midland loco has been exchanged with the continental loco included in that set. 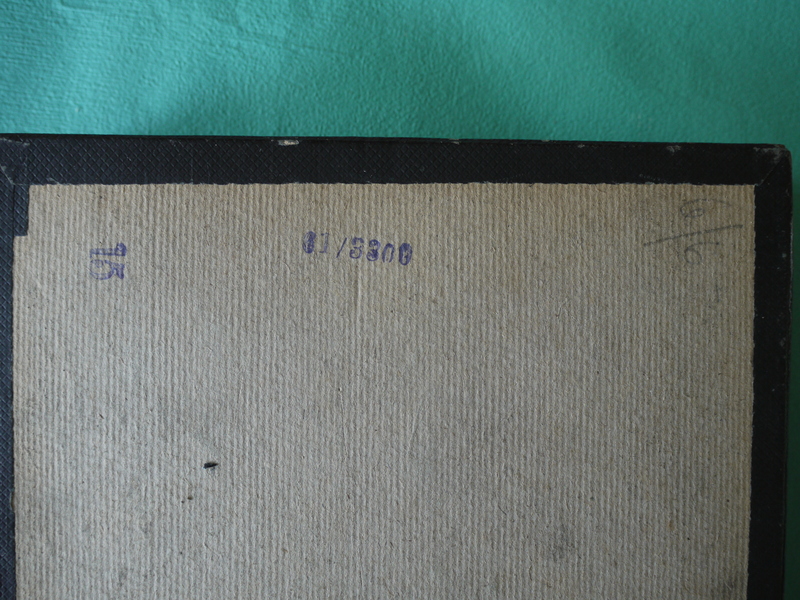 However Jeff Carpenter describes these compilations sold as Continental sets in his book on page 54 and 55. 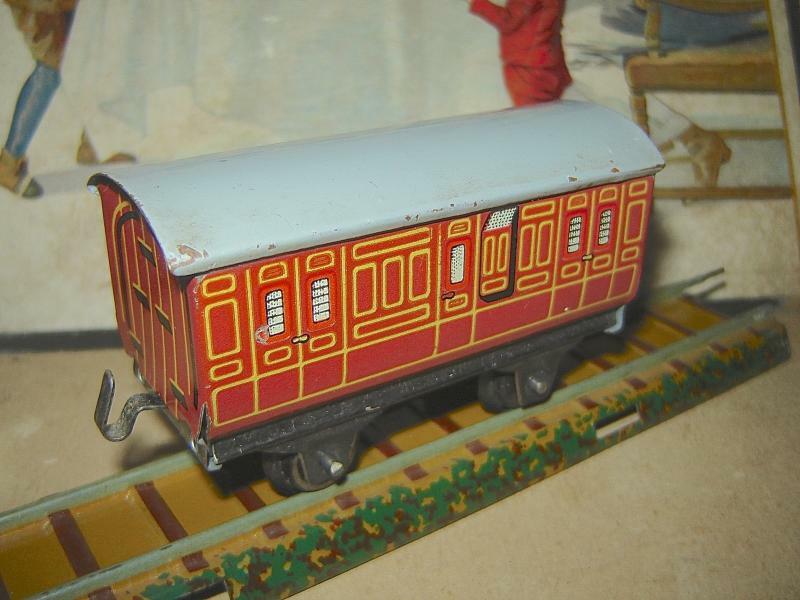 He mentions the coaches not fiitted with buffers and having the brighter crimson red colour. The only difference is the grey roof - according to Jeff the roofs should be brown to match the other European stock. Has anyone of you ever seen a comparable set? Blech, tischbahn und Kläusle gefällt das. Is is certainly unusual, never seen before, thanks for sharing. still the question remains: is it the original content or has somebody exchanged the loco over the last 90 years? 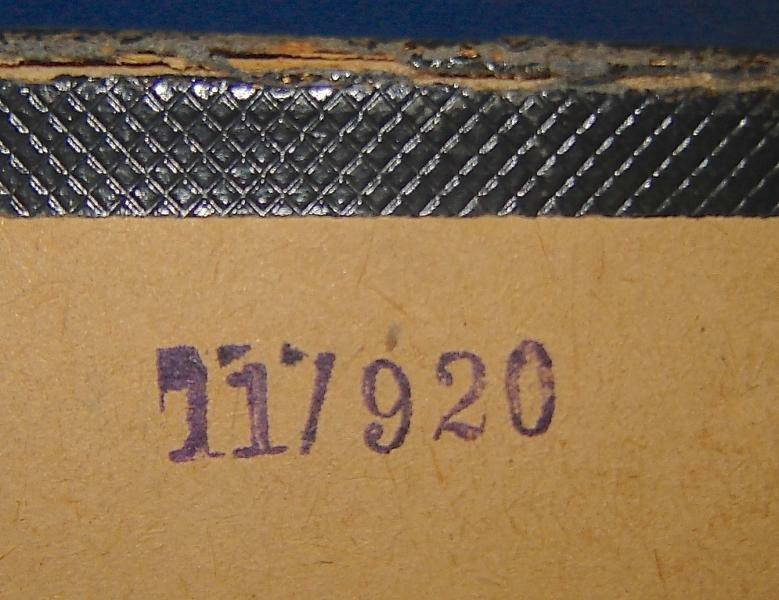 [Bing] [Tischbahn] - 11/921 'uncatalogued' Set No. 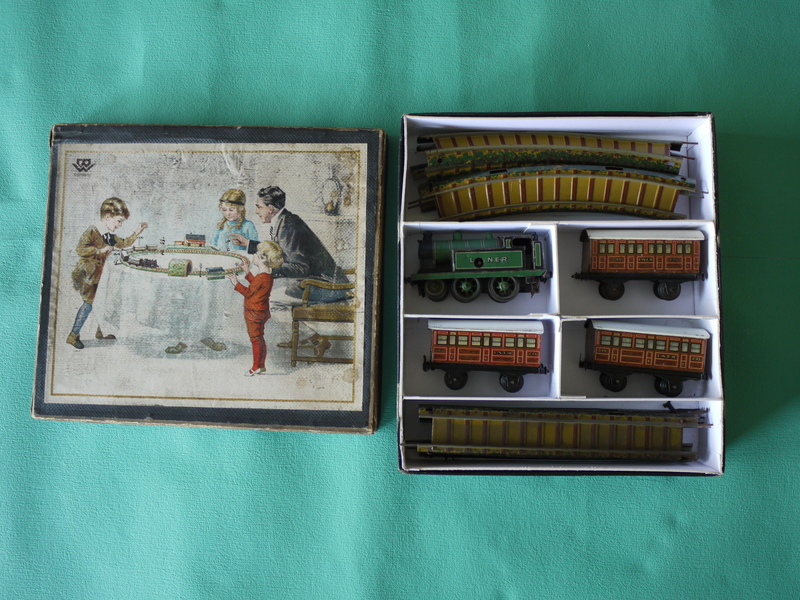 2 » « [Bing] [Tischbahn] - 11/756/4 Elektrisches Set No 4, oder auch nicht?